Accurate Core Technology™ (ACT™) is at the heart of VERITAS™ strings. Superior core wire is recognized as the foundation for rich tone, accuracy of intonation, and durability. 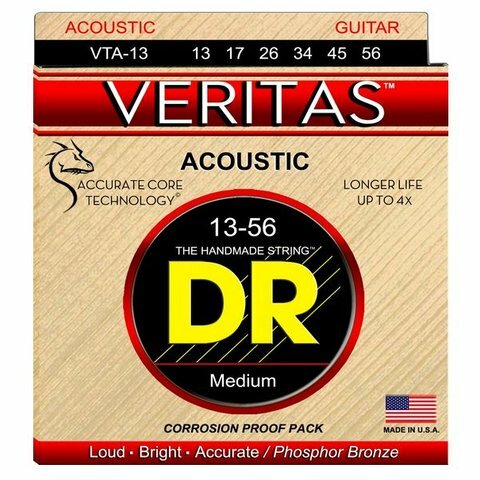 VERITAS™, we believe is a completely new category of long lasting acoustic strings that last up to 4X longer than ordinary acoustic strings, according to Stefan Grossman… a renowned concert artist, educator, and owner of The Guitar Workshop Catalog. Stefan says “I can play 4 concerts with one set of VERITAS™. I used to only play one concert with other strings.” “Love the way they sound,” said Happy Traum, educator, performing artist, owner of The Homespun Music Instruction Catalog. Accurate Core Technology™ (ACT™) is at the heart of VERITAS™ strings. Superior core wire is recognized as the foundation for rich tone, accuracy of intonation, and durability. Accurate Core Technology™ was designed to reinforce the core wire and fill in imperfections along the length of the core wire. In our opinion, this results in strings with improved pitch retention, and stability. In 2010, DR introduced Accurate Core Technology™ in DDT™ strings that seem to hold tune at any tuning…especially noticeable when players drop tune, or alternate tune. 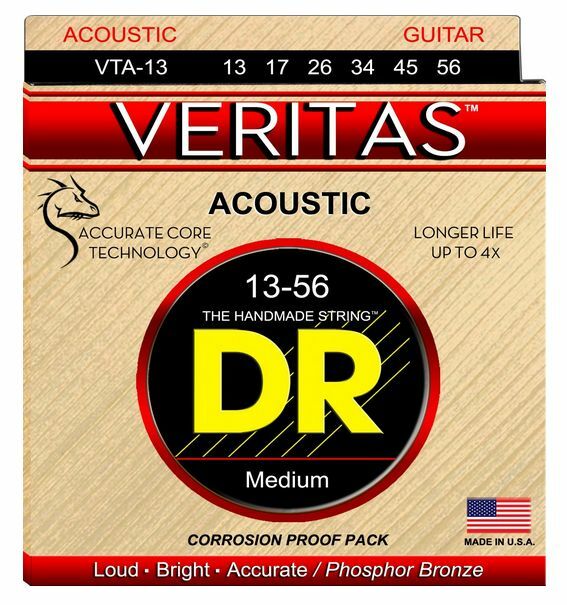 Long lasting VERITAS™ acoustic strings have been tested and played by Stefan Grossman for over 3 years. This time tested technology is inside VERITAS™ acoustic strings.